Dinner at the Zetter Townhouse in Clerkenwell, on the fringes of Farringdon and Hoxton, with François Labet was another great proposition by the Corney & Barrow crew. Just tucked off Clerkenwell road, on a quaint cobbled square a stone throw away from the eponymous boutique hotel where Bruno Loubet runs the kitchens, the Townhouse is a haven of ‘shabby chic’. Once you stumble through its front door, you feel you have walked in to an adult Alice in Wonderland’s country pad, a riot of velvet, leather, wooden furniture and eclectic art with a huge Victorian bar, come hither sofas and comfortable arm chairs and a roaring fire. You half expect the Mad Hatter to show you to your table..! Instead, in the midst of all this was the immaculately dressed and most definitely gallic M. Labet who surprised us with his perfect control of the English language. François runs the largest bit of real estate in the 50Ha Clos de Vougeot – 6Ha of vineyard bang in the middle, close to the north wall where the Château stands prominently in its midst. In addition to running Château de la Tour since 1984, François also manages Domaine Pierre Labet which owns mainly Côte de Beaune vineyards with recent additions in Meursault and Gevrey-Chambertin. All are vinified at Château de la Tour. This translates extremely well with the whites we tasted, the 2009 Beaune Clos du Dessus les Marconnets Pierre Labet and the 2009 Meursault Les Tillets Pierre Labet where fine and pure examples of this philosophy. I preferred the Meursault for its crisp, subtle lime nose and menthol palate and went well with the scallop and grilled black pudding. There was a hint of oak telling me that the wine still needed to fatten out. The Beaune was ready to drink now, a fatter version with plenty of citrus on the nose and palate. We followed on to the reds. 2009 Beaune Clos du Dessus des Marconnets Pierre Labet and the 2009 Beaune 1er cru Coucherias Pierre Labet were served with a delicious boudin blanc of Guinea Fowl and petits pois à la Francaise (or mushy peas to you and me!). Contrary to the whites, these were fined with the Coucherias standing out. With its deep and complex nose of graphite, (sour?) cherries and loganberries, it kept me entranced and the palate had plenty of minerality and length combined with grippy tannins. The Marconnets was slightly less complex and was a bit more feminine, cherries and strawberries at the nose with a hint of pencil shavings ending with a good clean palate. Surprisingly, all four wines represent just 1Ha of land! 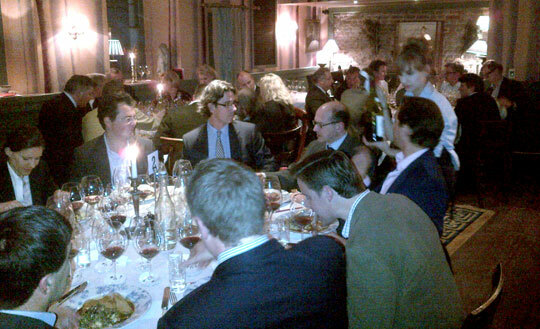 We finally were confronted with the Château de la Tour’s Clos de Vougeot Vieilles Vignes during the main course. François usually makes two cuvées, the Cuvée Classique from 5Ha with vines averaging 50 years and a Vieilles Vignes which are derived from a 1Ha parcel planted in 1910. To celebrate the vines turning 100 years, François made an exceptional, but tiny third cuvée from shot berries called Hommage à Jean Morin (his Olympian grandfather, as you ask: bobsleigh 1948, St Moritz). Accordingly, only 600 bottles were made in total. As young Clos de Vougeot usually is not very forthcoming and pretty austere, François treated us to the 1998, 1999 and 2001 from his personal cellar. Our amazing veal and mushroom tagliatelli was paired by a youthful looking 2001 and a 1998 that looked ready to be drunk, even though it came in magnum form. The contrast between the two was staggering, the 2001 was an exercise in masculinity. A deep seductive star anis and red fruit nose that lingered for some length on the palate with some grippy tannins. This turned over time in to hints of tobacco and vintage cigars. As at first impression, the 2001 needs more time and needs another 3-4 years to get to perfection. I found the 1998 very feminine, all talcum powder, perfume and plums and became more raisiny over time. 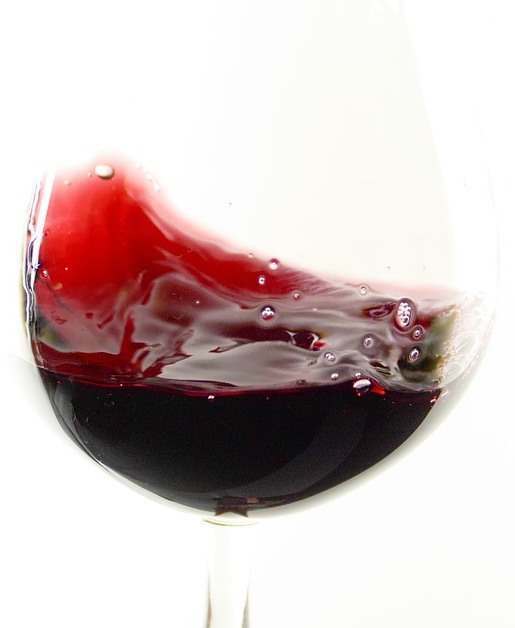 Although it looked and tasted ready, its tannic structure will make it hold over time. So what did we learn from François’s magical elixir’s? 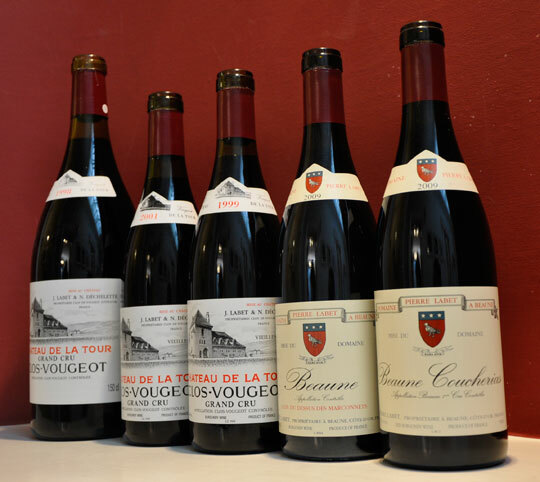 His wines definitely require to be paired with food and his highly concentrated Clos de Vougeot’s should be bought and forgotten about for at least a decade and a half. Visit www.corneyandbarrow.com for more information about François Labet.